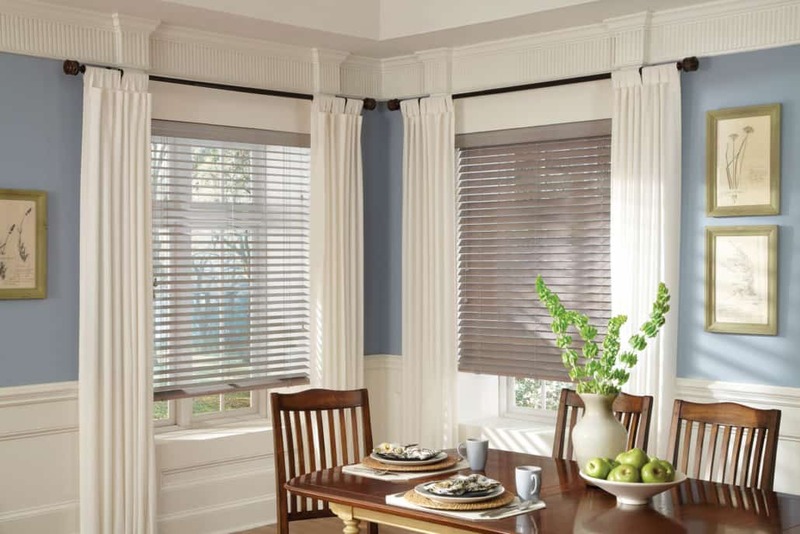 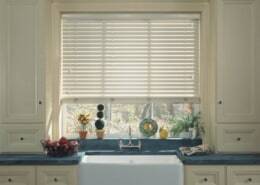 Wood blinds offers warmth, durability, and versatility, and is the natural choice for almost any decor. 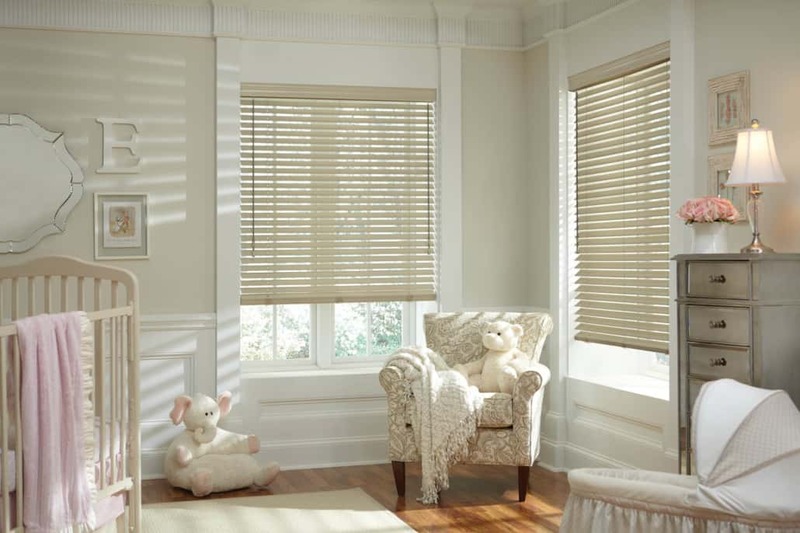 But more importantly, wood blinds can provide a perfect complement to real wood furniture and floors like no other blind can. 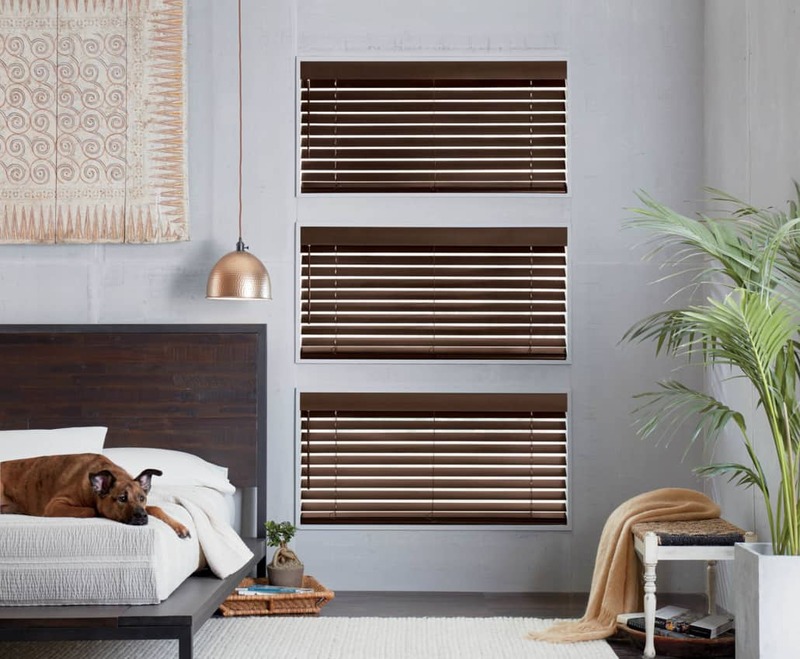 Unlike aluminum or vinyl, wood does not transmit heat, so wood blinds are a natural insulator in both hot and cold windows. 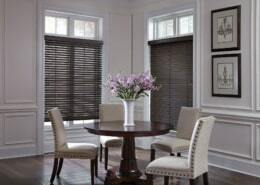 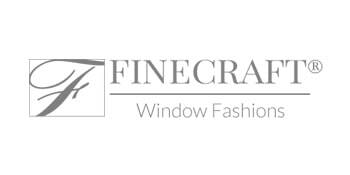 And like fine furniture, wood blinds reflect a high level of quality and craftsmanship in a superior window covering. 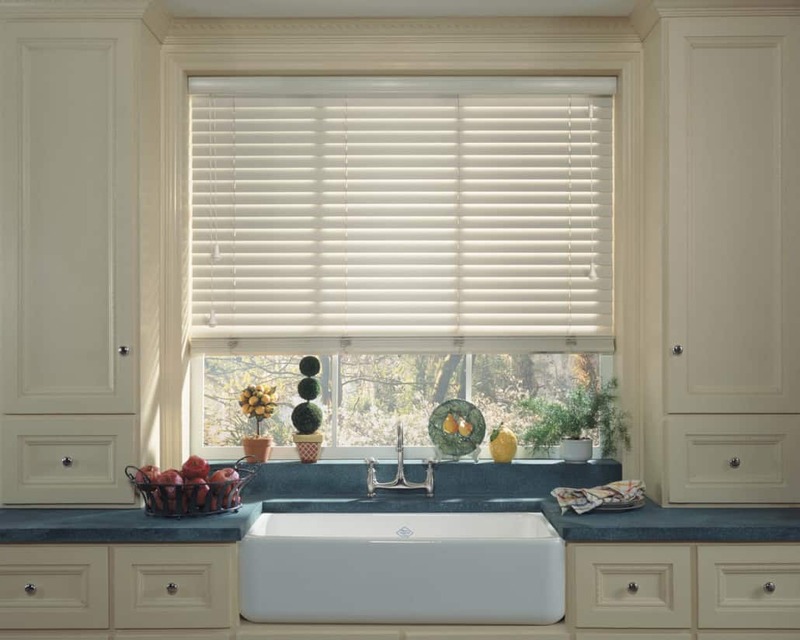 The thickness of real wood and tight closure of wood slats offer superior privacy for your home. 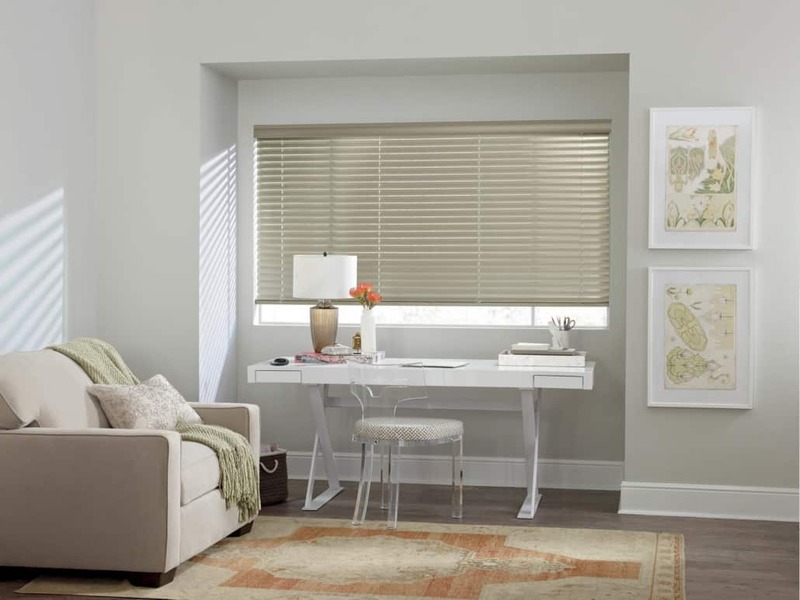 Keep your most lived-in rooms private with wood blinds, and keep your home safe from prying eyes. 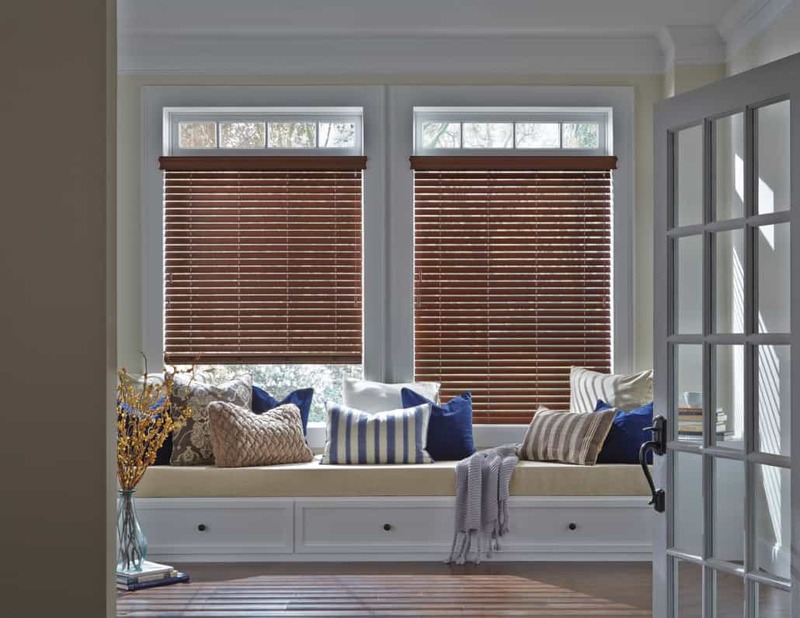 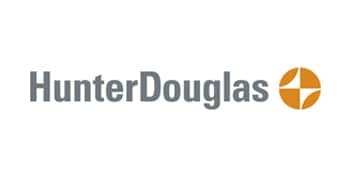 Choose routeless slats for a no-holes slat that helps block even more light from your window. 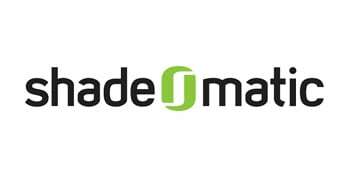 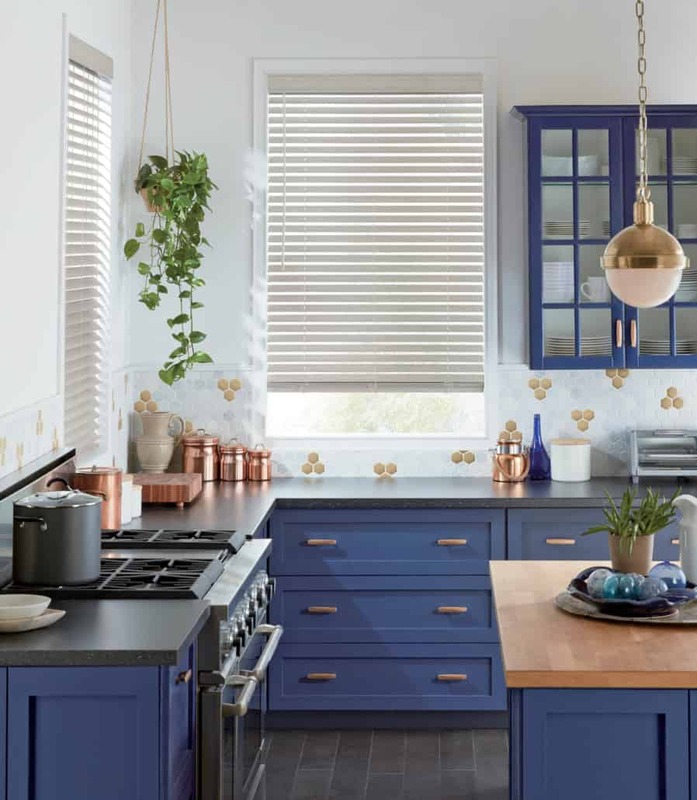 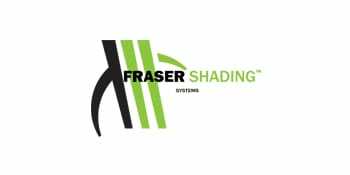 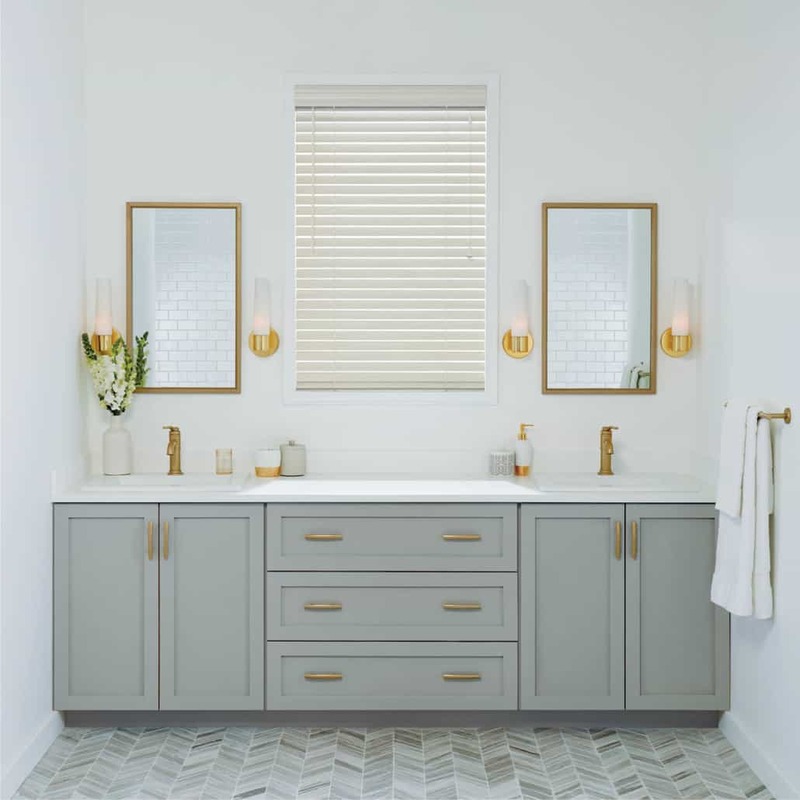 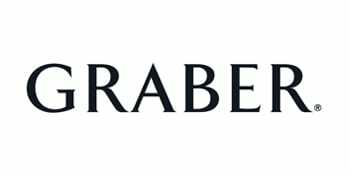 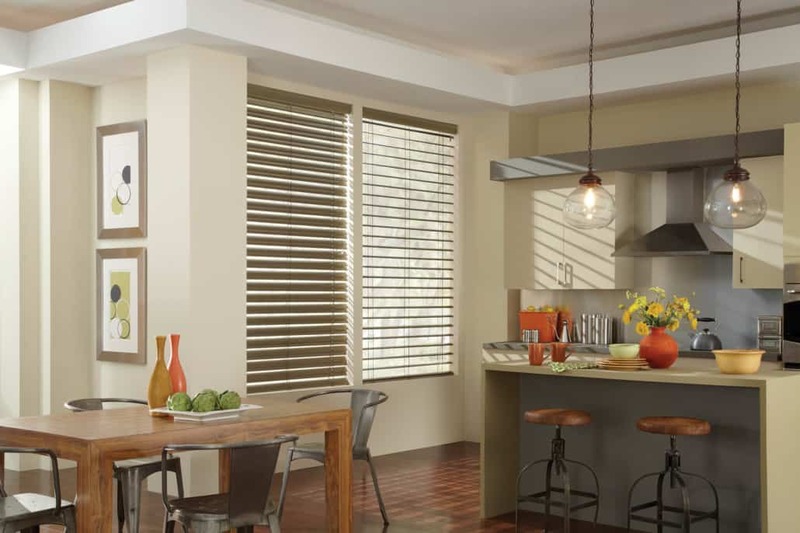 Wood blinds can also be made with cloth tapes, which provide a colorful or textured cut of cloth that runs vertically along either side of the blind, and can be customized to match your home. 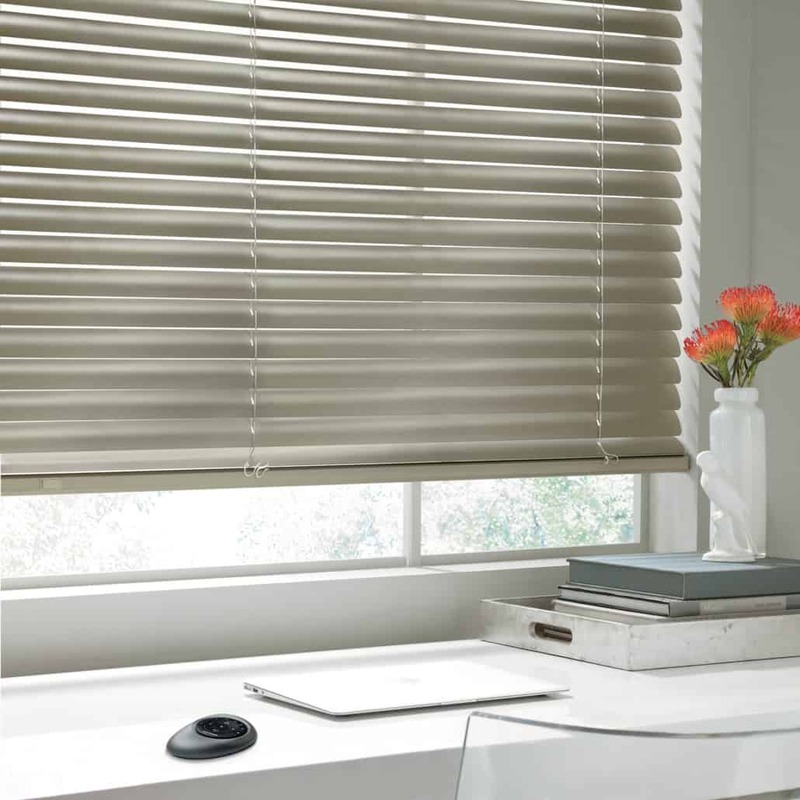 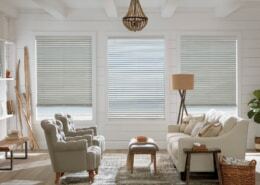 Lighter than faux wood blinds, wood blinds are easy to operate. 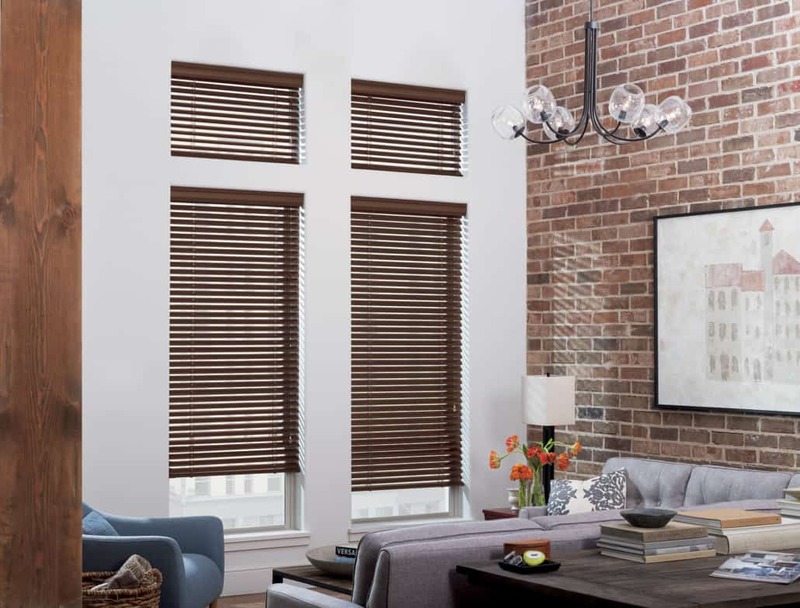 Lift and lower even the largest window blinds with ease thanks to the weight of natural wood. 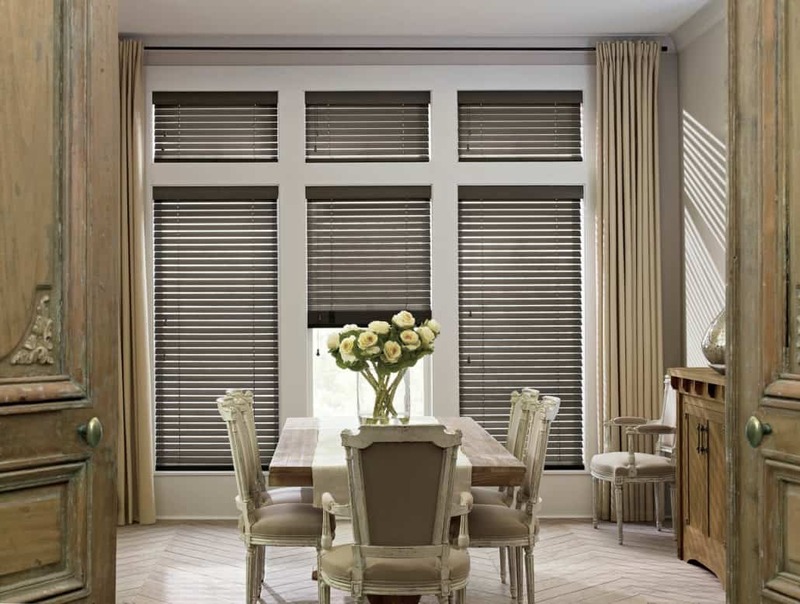 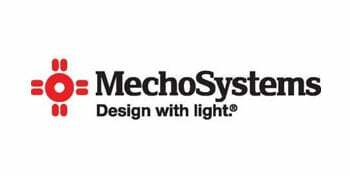 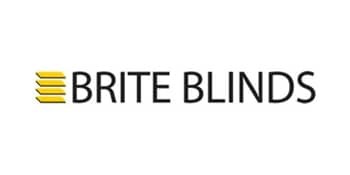 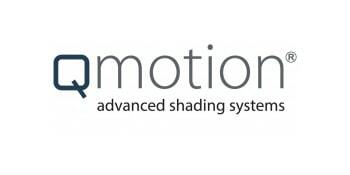 You can also choose to have the blinds motorized for large windows or hard to reach ones.